Social media marketing is an essential task for any business. When done effectively, it can help you increase site traffic, raise brand awareness, and even boost conversions. However, this type of marketing often requires an investment – so it’s important to find out whether your results are worth it. To do that, you’ll need a strategy to measure your Return On Investment (ROI). This will enable you to determine whether your time and resources are being spent well. It can also identify whether there are any issues with your current campaigns, and point you towards key areas that need to be improved. In this post, we’ll explain what social media ROI is and why it’s important. We’ll also discuss the steps you’ll need to follow in order to calculate it. Let’s get started! As the old saying goes, sometimes you have to spend money to make money. Nowhere is this more apparent than in your marketing strategy. With so many tasks and tools required to keep up, the costs can get out of control quickly if you’re not careful. This means it’s essential to monitor whether your investment is producing real results. The most effective way to do that is by calculating your Return on Investment (ROI). In other words, you need to compare what you’re putting into your marketing to what you’re getting out of it. 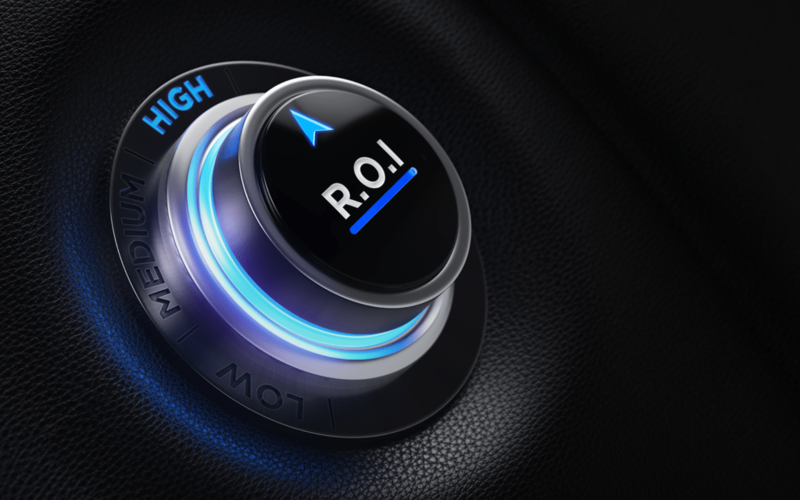 In many business applications, ROI is usually established using clear-cut, monetary values. Unfortunately, working out your social media ROI can be a little more tricky. In fact, 55% of marketers cited measuring social media ROI as their number-one challenge. This is because social media marketing campaigns aren’t always run with the intention of directly increasing sales. Numerous factors can count towards your ROI – including number of followers and rate of engagement. What you’ll need to track depends on your specific goals. This often makes social media ROI hard to assess. Despite the potential difficulties, however, this is an essential step to take. Failing to do so could mean that you continue to invest in techniques that don’t produce results, and ignore those that have the potential to offer big returns. Fortunately, it is possible to accurately work out your social media ROI. Let’s explore the most crucial steps in that process. As we mentioned earlier, there are numerous factors that can contribute to your social media ROI. This means there’s rarely a simple monetary value that you can calculate. Instead, you’ll first want to consider why you’re running your campaign. Do you want to increase the number of conversions you receive? Are you looking to build brand awareness? Alternately, would you like to increase site traffic, or boost your social media following? Asking yourself these kinds of questions will help you establish the primary purpose of your social media marketing investment. You’ll then know which metric(s) you’ll need to pay attention to when calculating your ROI. The core purpose of your campaign represents what social media can help your business achieve. Having clear goals will help you lay out how you’ll work towards that purpose, and how you’ll measure your ROI. For example, if your ultimate goal is to increase awareness of your brand, you could track the number of followers you gain throughout a campaign. Or you might record the number of comments you receive. You can then set goals with those metrics in mind. Whatever you decide to track, it’s important to keep your expectations realistic. Consider the size of your business when deciding what you want to achieve, and don’t rely on big changes happening quickly. SMART goals are an excellent way to establish achievable results, as they will help you determine a clear and realistic plan of action. By taking the time to create concrete goals first, you’ll be more likely to achieve accurate ROI results. Once you’ve defined your goals, you can begin to track them. How you do this will depend on the software you decide to use. Most social media sites contain built-in trackers, while Google Analytics is a useful option for more advanced data. Remember, you only need to track the metrics that are relevant to your defined purpose and set goals. Don’t get caught up in numbers that have no correlation to what you actually want to achieve. Doing that could lead to inaccurate results. Time. Add up the hours that you or your social media team have put into your social media marketing campaign over a set period of time. Content. Total up how much it costs to produce your promotional material. Tools. Most of your chosen social media platforms will be free to use, but it’s likely that you’ll also use a management tool like Sprout Social. You’ll want to factor the per-campaign costs of using these services into your final investment. Social media ads. Paid ads will likely form a large proportion of your overall investment. These costs are relatively easy to find, as most social media platforms will track them automatically. (The number of followers gained on social media / Your investment) x 100 = Your overall ROI (displayed as a percentage). Remember, the calculation you need to make will depend on the purpose of your campaign. You can include monetary values, but can also measure more abstract metrics – such as the number of visits to your website from your social media links. Establishing your ROI will help you determine whether the investments you’re making in your social media marketing campaigns are worth it. With this data in mind, you can begin to adapt and adjust your future marketing efforts. Establish the core purpose of your campaign. Set yourself some actionable and achievable goals. Ensure that you’re only tracking relevant metrics. Carefully assess the investments you’ve made. Do you have any further questions about determining your social media ROI? Let us know in the comments section below!